This book so condenses and systematizes general military instruction and the work done at Plattsburg so that it may be easily utilized in training other troops. No broad claim for originality is made except in the arrangement of all available material; the bibliography makes acknowledgment to all texts so utilized. Besides bringing helpful reminders to new officers regarding the elements of modern warfare, much of the material will be found of radical importance, as it is practically new and never before condensed. 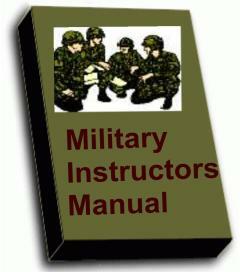 Since under the new army organization the platoon leader virtually has assumed the roll of a captain of a company, it is not enough for him to know simply his own part; he must be ready with all the information that his non-commissioned officers and men should know, and more important still, he must know how to teach them. Having little or no time to work over and digest for himself this mass of new material pouring in upon him, the officer may find in this book, material condensed and already arranged. It is hoped that this work will serve to recall to many officers, valuable points of military training which would otherwise be lost, to them in the mass of notes never looked at since the day they were made. More than this, every reader will find help in planning his work, saving thereby precious hours already too full of necessary duties, and will find fresh material for progress in the game of war. This ebook is in PDF format. Just $1.00!